Recently, we warned that Natural Gas may set up another opportunity for traders to buy into a support zone below $2.70 with a selling range near or above $3.00. Our upside target zone is between $3.25 and $3.45. The price of Natural Gas has recently fallen below $2.69 and we believe this could be the start of a setup for skilled traders to identify key buying opportunity in preparation for a quick +8% to +15% upside swing. Historically, March and April have been pretty solid months for Natural Gas. Let’s go over the historical data using three different seasonality charts which all point to higher prices. Taking a look at the data, above for both March and April it appears we should have a positive price outcome over the next 20+ trading sessions. Thus, we can determine that the likelihood of a positive price swing between now and the end of April is highly likely. When we take a look at the chart data to see how our BUY and SELL zones are setting up, it becomes clear that any opportunity to BUY into the lower support channel, with a moderate degree of risk, could result in a very nice profit potential of between $0.35 to $0.70 on data that supports the Bullish potential as a 200%~220% advantage over downside potential. Take a look at the data that we are presenting and try to understand that these types of historical price triggers are not foolproof, yet they do provide a clear advantage. They allow us to see if and when there is any type of advantage to our decision making and if we can identify any real opportunity for future success. We believe any further downside price activity in Natural Gas will result in additional opportunities for Long trades with $2.45 being our absolute low entry target. Our upside exit target would be any level above $2.95, or higher, and our ultimate target objective would be $3.15 or higher. 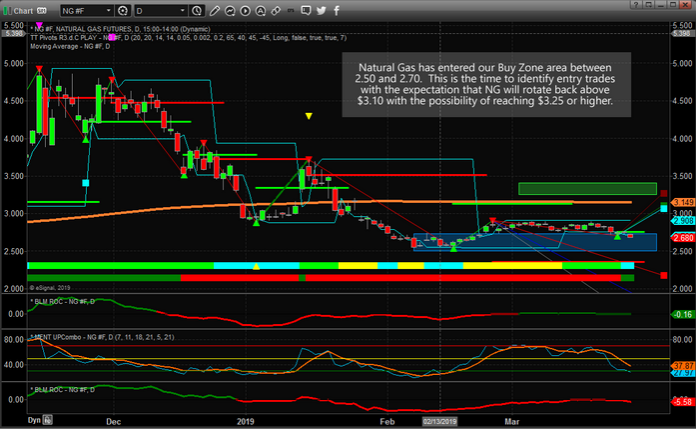 Our last trade in natural gas (UGAZ) gave us 30% return in just two weeks in February! This could be another opportunity for a trader to target a quick 8% to 15% swing trade in Natural Gas over the next 20+ days. 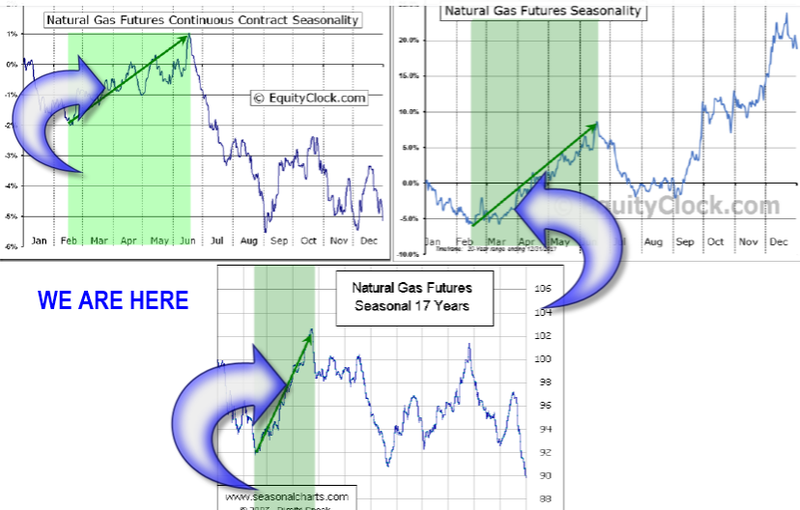 Time to put Natural Gas on your radar again! Are you ready for this next move? Want to know how we can help you find and execute better trades? Visit The Technical Traders Right Here to get our, technical indicators, market analysis, daily videos and trade alerts. Are You Ready For The Next Move in Natural Gas?